Walt Disney's Bambi is coming out of the vault this spring. 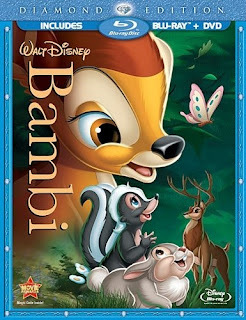 Anyone who loves Bambi will be excited to see the movie for the first time on high definition blu-ray disc. Bambi was Walt Disney's first animated movie that tried to feature animals that looked real. It took Disney and his studio five years to put this movie together and Disney went to great lengths to achieve the look AND the feel of Bambi. Bambi sure looks good to me, although parents ought to be aware that Bambi is not appropriate for all children. I think it is really easy to jump to that conclusion, especially in the case of a movie which features such sweet characters as Bambi and Thumper. If you are a parent of young children, I recommend proceeding with caution. Bambi is definitely not for children under the age of 5 and is even disturbing for children as old as the age of 10. What do you think? Is Bambi okay for young children? If you have an experience to share with other parents about the age appropriateness of Bambi, please feel free to leave a comment here on this page or to join the debate and see what other parents have to say here. If you want to learn more about the Bambi movie and the blu-ray disc, please visit my page about the Bambi blu-ray movie release. Buy Walt Disney's Bambi on Blu-ray or DVD. Read more about Bambi on blu-ray. Learn what else is coming out of Disney's Vault in 2011. For some, Snow White's Seven Dwarfs need no introduction. SLEEPY, SNEEZY, DOPEY, DOC, HAPPY, BASHFUL, and GRUMPY have been a part of our lives since Walt Disney created the movie, Snow White and the Seven Dwarfs. 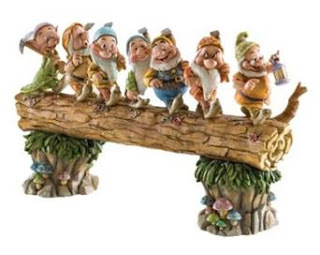 If you'd like to know a little bit more about these friendly and helpful guys, you might enjoy a visit to my page Meet The Seven Dwarfs: Snow White's Friends In The Forest where you will learn a bit more about them and about their history. Like to know a trick to remember their names? You'll find that on my page, too. Meanwhile, I'll leave you with this little video of Snow White's Seven Dwarfs singing Heigh-Ho. Order Jim Shore's Snow White and the Seven Dwarfs from Amazon. Wondering about the romantic Hallmark movies that are being released in 2011 just in time for Valentine's Day? The Hallmark channel is running a countdown of movies leading up to February 14th and three of them are brand new movies. Romantic Movies By Hallmark 2011 discusses these three exciting new movies ~~ A Valentine's Date, Smooch and Accidentally in Love ~~ and yes, in my humble opinion, they do look good. If you do not have the privilege of receiving the Hallmark Channel, you will also find on that page a helpful list of Hallmark romantic movies that are available on DVD. While The Lost Valentine was not released as part of Hallmark's countdown Valentine's Day, it definitely was a romantic movie and it was extremely well received on January 30th when it premiered. It is doubtful that this movie will be rerun anytime soon, but you can already buy a copy from Amazon by clicking right here. Here's hoping that these resources help you find a few chick flicks to add to your collection and that your significant other agrees to watch along with you. Do you think he will? Hallmark Hall of Fame's The Lost Valentine Movie Review. Whether you are looking for a great Chick Flick for Valentine's Day or simply a romantic movie for any time of the year, you should consider investing in a great Chick Flick movie guide. The Ultimate Guide To Chick Flicks: The Romance, The Glamour, The Tears and More shown here was written by Kim Adelman and is one of my favorites. 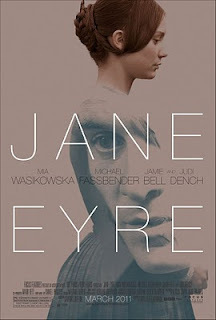 It is the first guide to women's movies that I discovered, but it is not the only one. I featured a number of interesting books on Chick Flick Books: A Guide To Chick Flick Movie Reviews any of which will help you choose your next romantic movie. 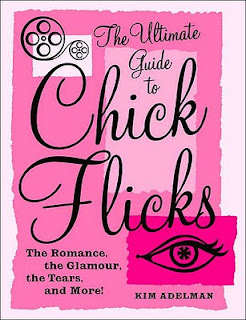 Order your copy of The Ultimate Guide to Chick Flicks. 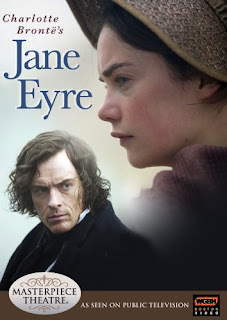 Find more romantic movie guide books.